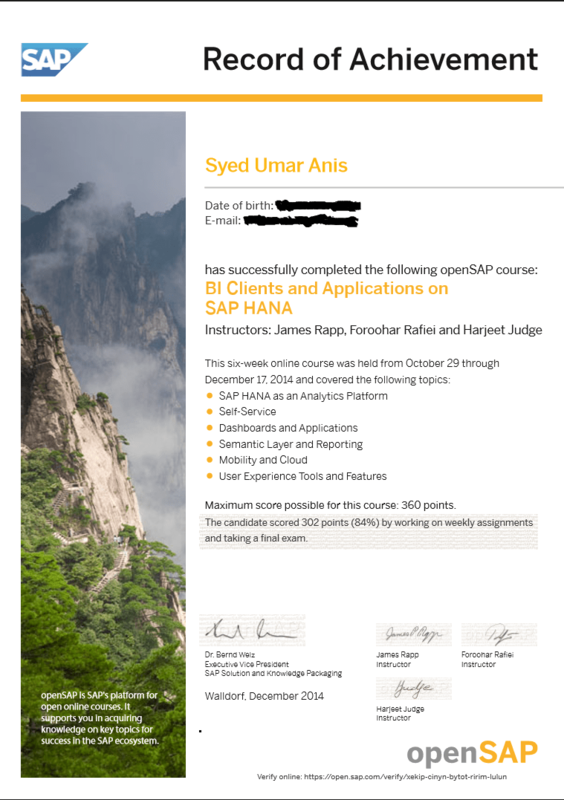 This is my first openSAP course where I managed to stick around till the end. Generally I found the content on openSAP to be a bit dull. At times it seems that you watching a marketing video rather an educational one. Anyway, there is a lot of useful content also.